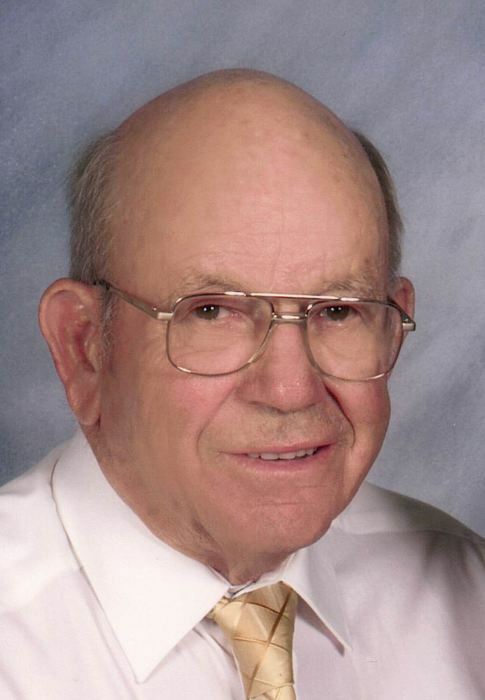 Eugene “Chick” Hollkamp, 85, passed away peacefully on Monday, April 1, 2019 at his home in Sellersburg. He was born on April 25, 1933 to the late George and Anna Hollkamp (Kirchgessner). Mr. Hollkamp honorably served his country in the United States Army and retired from Ford Motor Company. He was a member of St. John Paul II Catholic Church (St. Joe Campus). He was preceded in death by his brothers Herbert and Pat Hollkamp and by his daughter-in-law, Lisa J. Hollkamp . Survivors include his loving wife Suzann J. Hollkamp, his sons, Dennis Hollkamp, Timothy Hollkamp, Thomas Holkamp (Lisa M.), Jeffery Hollkamp (Carrie), his sisters, Wilma Smith, Norma Hollkamp, Phillis Burkholder and Elizabeth Williams. Mr. Hollkamp also leaves behind 4 grandchildren, Holli, Jacquelyn, Evan and Grant. A Funeral Mass will be held at 10:00 A.M. on Friday, April 5, 2019 at St. John Paul II Catholic Church (St. Joe Campus) with interment to follow at St. Joe Hill Catholic Cemetery. Visitation will be held on Thursday from 3:00 P.M. until 8:00 P.M. at the Garr Funeral Home in Sellersburg. Memorial contributions can be made to: St. John Paul II Catholic Church (St. Joe Campus 2605 W. St. Joe Rd. Sellersburg, Indiana 47172).